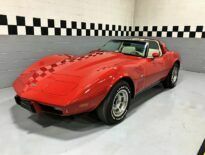 1969 Corvette Stingray T-Top——–427/400 Horse Big Block!!! Since 1975, we’ve been making Automotive Dreams come true for clients from around the world. 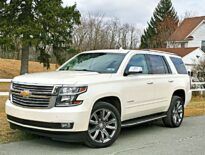 We are a small, family owned business that has worked very hard to establish our reputation as a top flight automotive source. 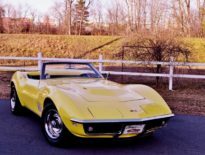 Our specialty is definitely Corvettes, featuring a choice selection of low mileage originals and outstanding restored examples. 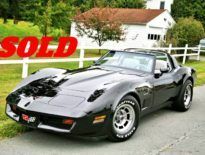 Some of the finest Corvettes on the planet have been purchased here. 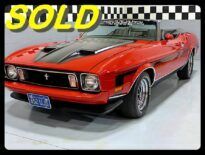 We are also your destination for some very exciting muscle cars, hot rods and specialty vehicles. Give us a try, we’re old school folks who are easy going & anxious to earn your business. 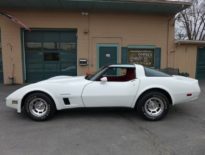 As a kid growing up in the car business, I have always wanted a 1978 Corvette Pace car and after having several Corvettes I decided the 40 year wait was over. 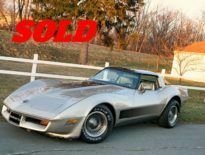 After all this time, I knew I was after a "time capsule in the wrapper" and Jerry Coffee turned out to be the right guy with the right car! 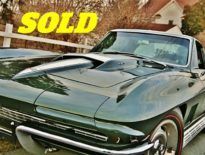 I spent nearly a month putting this deal together with Jerry and he was the most cordial person to work with as he answered numerous phone calls and emails regarding the questions I needed clarified to make this type of purchase. 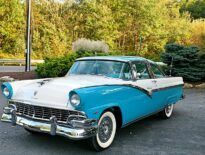 Not only was the car described as I pictured it with all the documentation included, Jerry also was as adamant as I to have some minor things repaired and went out of his way to make sure all turned out well. 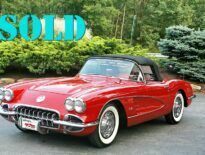 When Jerry picked me up at the airport in Old Forge to finalize the purchase, he and Diane took the time to be very hospitable and after visiting with them it would be difficult for me to go anywhere else for another collector car. Thank you both very much! Thanks Thanks and Thanks again you 2 beautyfull people..
May the sun shine on your way..
My Family Celebrates The Arrival Of My Gorgeous Sting Ray!!! 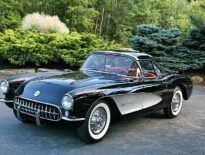 I had been wanting a Top Flight 1958 Corvette for some time. 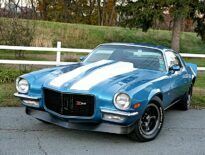 I had gone to auctions, gone to dealers, gone to NCRS meets, and looked on the internet for years searching for the right car. 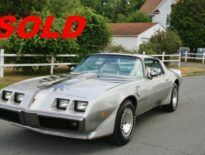 Finally the right car appeared for sale on the internet in of all places Old Forge, PA. I had to look at a map to find out where in the world Old Forge PA was. Well Diane and Jerry Coffee have lived there just about their whole lives. 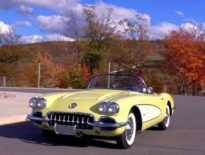 In Old Forge, in their showroom, was a rare Panama Yellow and White 1958 Corvette which had won many awards, and also highly optioned (for a 1958 and being a Corvette anyway). After speaking to Jerry on the phone we scheduled a day and time a week later when I would fly up from South Florida to see the car. Jerry was kind enough to pick me up from the airport, which is not far from his showroom, but still a very nice gesture. And he drove me back too. The car was everything advertised. 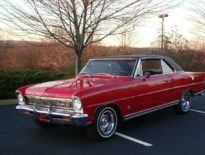 It was a multiple Top Flight award winner fully restored car which was absolutely stunning. 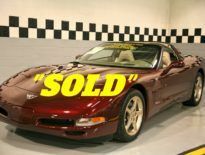 There were binders with complete documentation of every previous owner and all the different top awards the car had won. 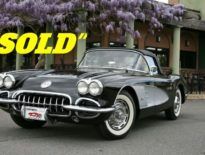 Jerry then patiently helped me authenticate every number on the car for me to feel comfortable I was potentially (we hadn't made a deal yet) buying a real numbers matching Top Flight award winning 1958 Corvette. 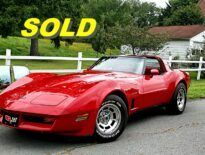 Well I did buy the Corvette. It was a dream come true. 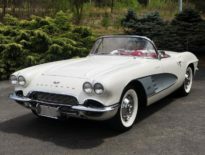 I have wanted a 1958 Corvette since I was a little boy and now this beautiful car was mine. After a test drive in the car, Jerry splurged and bought us a few different local pizza's and beer to celebrate my purchase. Who knew Old Forge PA is the pizza Mecca Jerry had been describing. Jerry, and his lovely wife Diane help with the paperwork, and the arrangements to transport the car down to South Florida. BTW Diane makes a mean cup of hot chocolate. Ask her about it if you're there in the winter as I was. The car arrived in South Florida and boy was I excited. After having and driving the car for a few days I noticed I had a small radiator drip which then turned into a large leak. It turned out prior to my ownership, someone must have known the car had a radiator leaked, and had put a sealant in to stop the leak; instead of doing a proper repair. I sent Jerry an email to apprise him of the situation and he was quick to say this was nothing his shop would condone and then offered to pay for the radiator repairs. True to his word, when the repairs were done I forwarded to him the invoice which was promptly paid for in full. I ask any of you reading this testament; who gives someone their word in 2018, and then follows through? Jerry and Diane do. 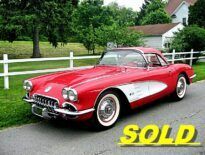 Would I buy another classic car from them; you bet. I give you my word!!! 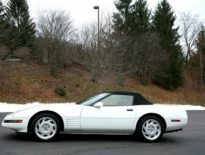 From the moment I made contact with Coffees Corvettes, I knew that I had made the right decision to buy from there. Beyond the great line-up of 'vettes, there are great people. 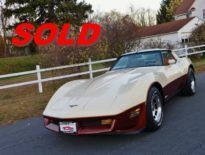 I purchased a 78 'vette and it was exactly as I hoped for and exactly as called. I purchased it sight un-seen, wired the money and had it shipped home. Jerry made time to answer any questions I had along the way and there were certainly plenty of them. 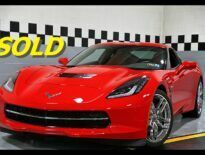 Thanks to him and his making the purchase of my 'vette seamless. I couldn’t be happier! Thank you so much, its exactly as you described and has already brought back so many memories. Bring on summer!!! 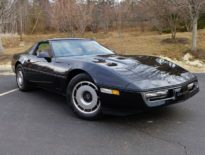 I was browsing the internet looking to buy my all time favorite old school C3 body style Corvette and wanted something a little unique. 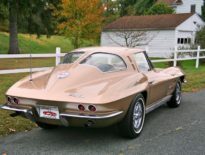 Saw this not so common two (2) tone color: cream and bronze 1981 Corvette Coupe at Coffee's Corvettes owned by the dynamic duo, husband and wife team, Jerry and Diane Coffee . 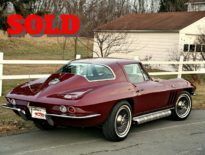 I was blown away by the cherry condition it was in and had Jerry send me a video of the car with the engine running since I was an out-of-state buyer. Within a week, the car was shipped to my house and it was exactly what I had imagined. Based on my experience, they sell the creme de la creme of Sports and Classic Cars. 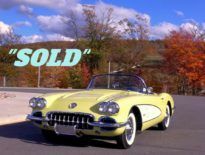 "So when you're in the market for your next driving toy, this is sure the place to go." "No doubt about it!!!" 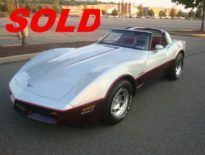 After initial emails, we met Jerry and Diane at their store to see & drive what was about to become our new Corvette. 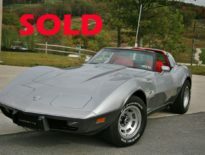 She was like new with only 5,000 miles, gorgeous, so responsive & had everything I wanted in options. You could say she had just about everything you can get on a new car. 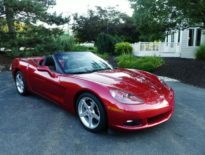 Our C6 Convertible is a stunning Magnetic Red that certainly stands out on the road. She’s loaded with AC, auto trans., power windows, 6 CD changer, HUD, navigation, heated seats, run flats, XM radio, On-Star capable, and more. 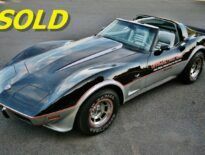 I love the power top and how the lines of the car are so clean when the roof is down. Jerry had the car delivered right to our door. The transporter was very professional as well. 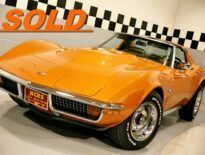 I've had a few technical questions about the car since our purchase and Jerry has always been helpful in answering them. 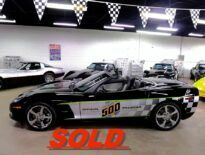 We absolutely recommend buying your next Corvette from Jerry & Diane at Coffees. Tim & Janet from New Jersey. 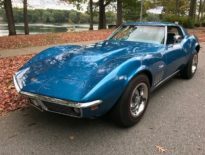 "It’s been a life-long dream of mine to own a Stingray, but never thought it could actually happen. 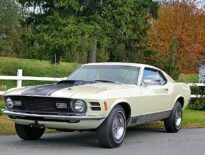 Now that I’m retired, I got very serious about obtaining one. Enter Jerry. 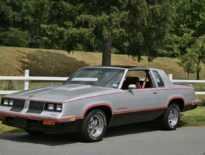 Having never purchased a classic car of any sort, I had a ton of (dumb) questions. Jerry answered them all expeditiously, in language I could understand and with unbelievable patience. He has simply been amazing, while guiding me through the entire process carefully, efficiently and with great integrity. 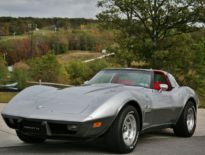 The ‘69 Stingray he delivered was exactly as described... even better than I had anticipated." "I simply cannot say enough good about this entire process. From locating what I was looking for, through payment and delivery, I was just amazed. 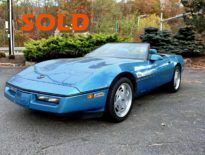 Jerry is extremely knowledgeable about Corvettes and very professional, yet warm and honest. 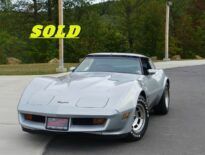 Both he and Diane are so down to earth and accommodating...my wife and I felt like we gained new friends when we traveled to Old Forge to see my "dream come true" Stingray." " I feel so fortunate for this experience, thank you both again for all your efforts." 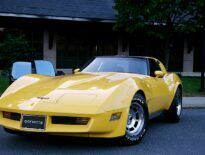 "I recommend Coffee's Corvettes without any reservation whatsoever to anyone looking to purchase their classic car." 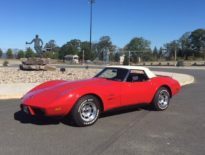 I am today the proud, overjoyed, owner of a 1975 Mille Miglia Red Corvette Convertible purchased from Jerry and Diane Coffee. 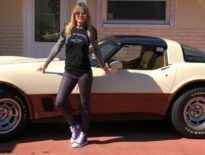 On Sunday, October 29, 2017, my dream car arrived at my home in Edmond, Oklahoma, in a covered auto hauler (that Jerry arranged for me) in perfect order, in the exact condition the Coffees assured me the car was in. It was the culmination of 2½ months of interaction with the Coffees. 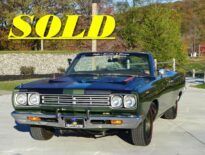 I negotiated a fair market price for my car, received via FedEx purchase documents, and wired the purchase money to the Coffees’ bank. 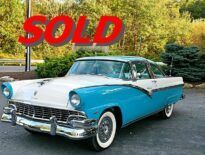 Previously, I had asked Jerry Coffee to send me additional pictures, to start the car and to send me a video, to answer a number of additional questions via email, text, and telephone, all the while receiving prompt, accurate, and expert answers to all queries. I grew to like and trust Jerry a lot. 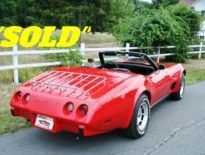 He is a long-time classic car dealer, with a wealth of glowing testimonials on his website, and a car nut. 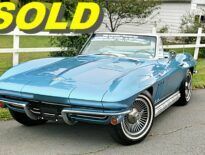 I arranged with Jerry to repaint the car, to replace the convertible top, and to replace a few chrome items. Jerry and his mechanics did everything on time and on budget, supplying me with much-welcomed, periodic progress photos. 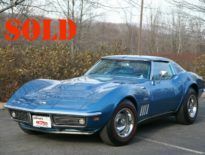 In closing, deal with Jerry and Diane Coffee with complete and unwavering confidence that you have found a special classic car dealer. 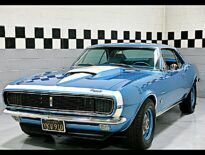 The Coffees are smart, honest, and gifted in the realm of Classic American Muscle. 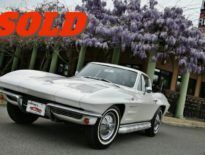 Shop freely, happily, and await the arrival of your dream car. Happy Motoring. We can help, click to get in touch. Give us a try, we make it so easy.